A slightly different viewpoint from the one I usually choose but it does work very well during a winter sunset though setting up the shot is pretty challenging when it comes to filtration. 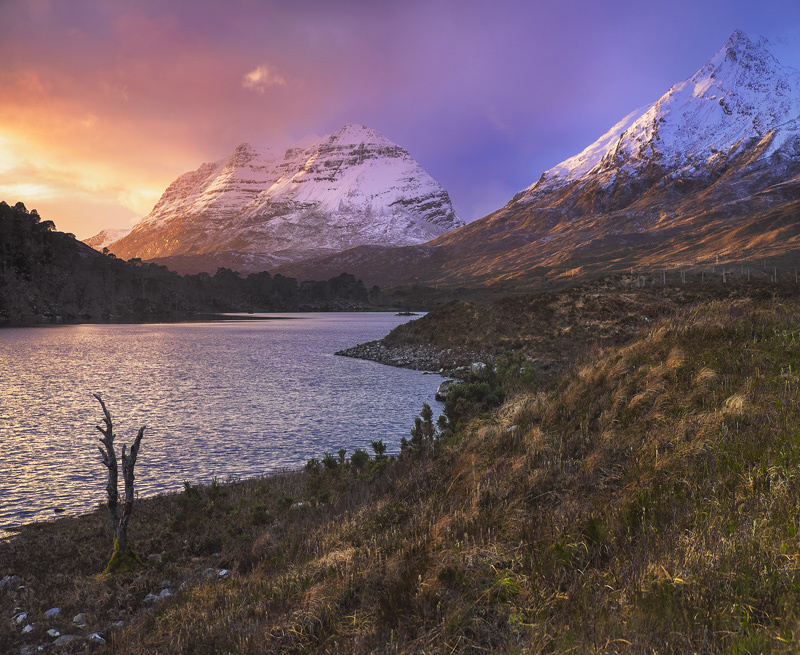 Liathach was positively resplendent bathed in a fiery sunset glow as the sun barged its way through patchy low cloud turning the snow capped slopes a mixture of scarlet and gold. Unfortunately the rest of the scene tends to swallow light as surely as a deep cave making exposure very difficult in the shadow regions. the balance achieved here was a complex mix of hard and soft grads from above and from the left side of the image. It works well enough for me.